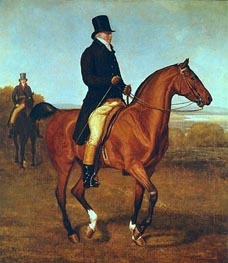 Jacques-Laurent Agasse (April 24, 1767 - December 27, 1849) was an animal and landscape painter. 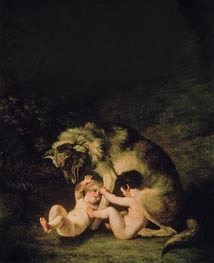 He was born at Geneva, and received his first instruction in the public art school of that city. 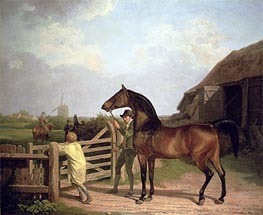 Whilst still under twenty he went to Paris, in order that there, in the veterinary school, he might make himself fully acquainted with the anatomy of the horse and other animals. He seems to have subsequently returned to Switzerland. 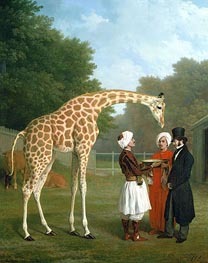 The Tübinger Morgenblatt (1808, p. 876) says that "Agasse, the celebrated animal painter, now in England, owed his fortune to an accident. 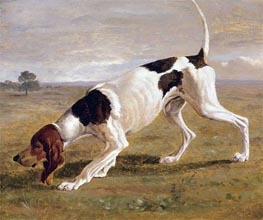 About eight years ago, he being then in Switzerland, a rich Englishman asked him to paint his favourite dog which had died. 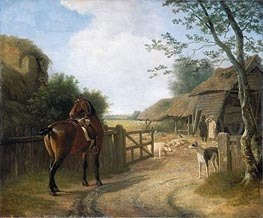 The Englishman was so pleased with his work that he took the painter to England with him." 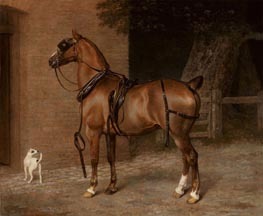 Nagler says that he was one of the most celebrated animal painters at the end of the 18th and the beginning of the 19th century. In Meusel's Neue Miscellaneen (viii. 1052 et seq. 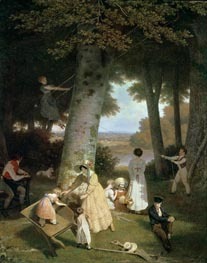 ), a comparison is instituted between Agasse and Wouvermans, wholly in favour of the former. 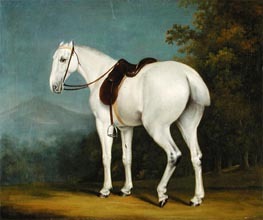 In that partial article much is said of his extreme devotion to art, of his marvellous knowledge of anatomy, of his special fondness for the English racehorses, and his excellence in depicting them. 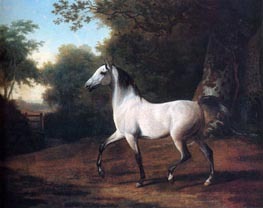 He appears first in the Academy catalogues in 1801 as the exhibitor of the 'Portrait of a Horse', and continued to exhibit more or less until 1845 (contradicting Nagler's statement that he died "about" 1806). In the catalogues his name is given as J.L. 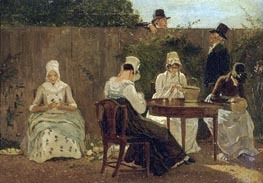 Agasse or Agassé. 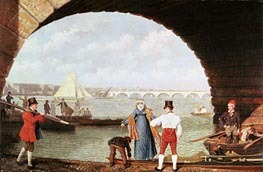 The number of times Agassé changed his address confirms Redgrave's assertion that "he lived poor and died poor". The writer of the panegyric already quoted says, however, that it was not for bread or for gain that he laboured, but that he was urged forward by the resistless force of natural genius.